Click on the images below to see some of the 212 pool cover detail. Logical construction! 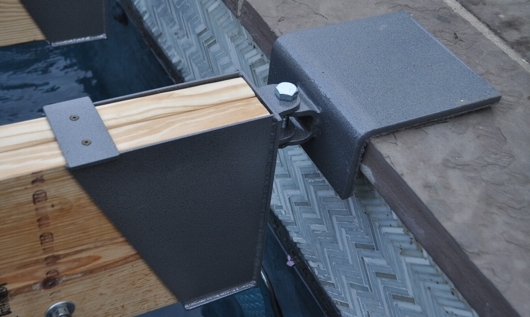 Simply attach 212 brackets to both ends of a double 2" x 12" joist to create proper joist assembly. 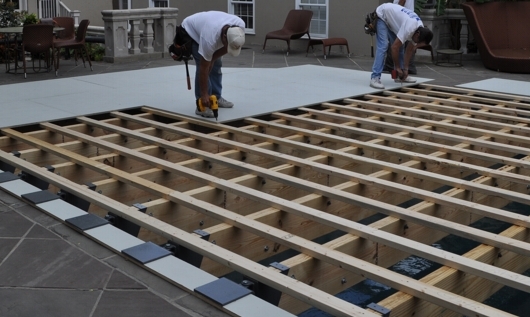 Then lower proper joist assembly across the span of the pool, and build your floor. 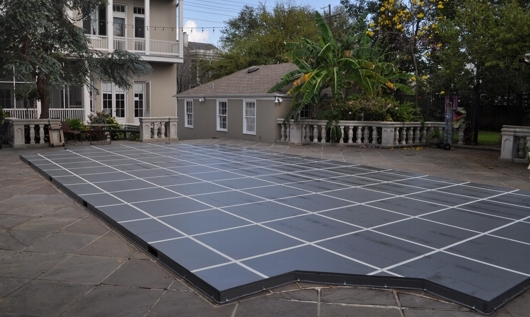 212 Pool Cover Components - The 212 pool covering system is the most versatile, practical, and cost effective of them all. Simply purchase our patented 212 understructure support brackets (shown opposite), and use readily available lumber to do the rest!. 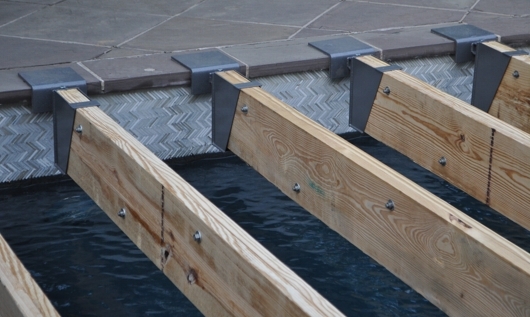 The 212 brackets anchor 2" x 12" wooden joists to the side of the pool, on which you can easily build any floor design of your choice. Once the joists are in place the process for building the floor is very similar to that of a wooden deck! Self installation is a quite straight forward providing you follow a few simple guidelines. 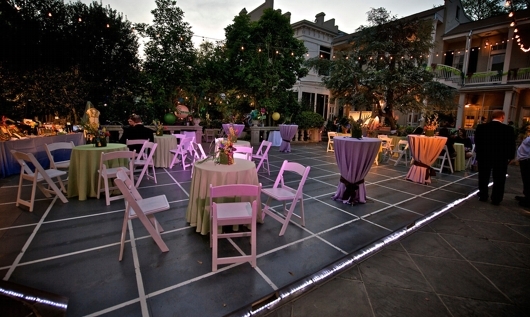 Great for event rental companies and homeowners. Excellent span capabilities! Brackets for a typical 16' x 30' rectangular pool can be purchased for approximately $7,250.